Those who are constantly on the move understand the convenience and temptation of a quick and easy meal. Unfortunately, quick and easy doesn’t always mean healthy. Eating an excessive amount of fast food can be detrimental to our health, and can lead to complications such as obesity. Too much fast food also can also make us feel sluggish, lethargic, and encourage us to sit rather than get up and burn all those extra calories we’ve consumed. Instead of fast food, switch to an eating lifestyle centered around your kitchen. Cooking your own food can open a lot of doors for the kinds of rich flavors you will experience and also give you more control over health. Cooking allows you to set correct portions and eliminate unnecessary fats and carbs from your diet. Recipes exist in abundance online and there are even services that will ship ingredients and recipes right to your door. Another lifestyle change that can have a huge impact on your life starts with a personal daily planner. The organization isn’t just for students or professionals in the workplace. You don’t have to be busy to be organized. Everyone has a finite amount of time in the day, and how we spend our time defines that kind of life that we’re living. Therefore, it’s important to make the most of our time and to be organized in our approach to filling our time. Too much going on leads to dropped obligations and missed opportunities. You’ll find yourself scratching your head to remember when bills are due, or scrambling to meet appointments you only just remembered. Keep organized in your day to day tasks, and you’ll feel empowered about the amount of control you have over your time and your life. 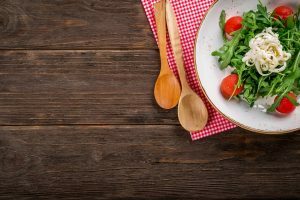 Once you experience how much more energetic you feel after eating a healthy home-cooked meal, you’ll be eager to find ways to burn off that energy. Diet and exercise go hand in hand and are essential for achieving maximum physical, and even mental, health. Beyond making our bodies leaner, stronger, and more durable, exercise has a powerful impact on the brain. Exercise boosts our confidence and self-image. By doing exercises such as jogging, swimming, and yoga, our brains experience a surge of positive, cleansing energy. 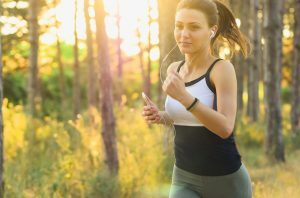 Active lifestyles can radically change a person’s life, especially for those recovering from addiction. Even after you’ve completed all of your schoolings, you’ll come to find that reading never goes away. It is an essential activity in our daily lives but also can enhance our minds and creativity in ways like no other media can. Reading a book opens the mind to new experiences. It can be an insight, an escape. Most of all, it is a kind of exercise for the brain. It trains your mind pay attention to detail and builds vocabulary. Reading makes you smarter. 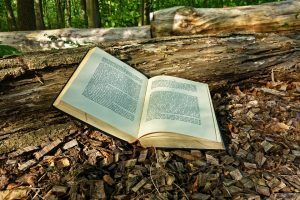 With so many different genres and subjects, it’s almost a certainty that you’ll find a book out there that resonates with you. Cooking your own meal, jogging in the park, buying a planner, reading a book—these four lifestyle changes are all easy first steps towards living your best life. It doesn’t take much to begin seeing a notable improvement in your life. All it takes sometimes is the willingness to be a better human being, and the courage to take the first step. Need more apps/ideas on organizing your life better? Jennifer knows how difficult it can be to live with anxiety and depression. She has experienced both since she was in her teens. Today, she writes about the ups and downs of her mental illness on SpiritFinder. The blog serves as both a source of information for people with mental illness and a forum where those living with anxiety and depression can come together to discuss their experiences.